The relationship between humans and cats is possibly far older than previously thought. 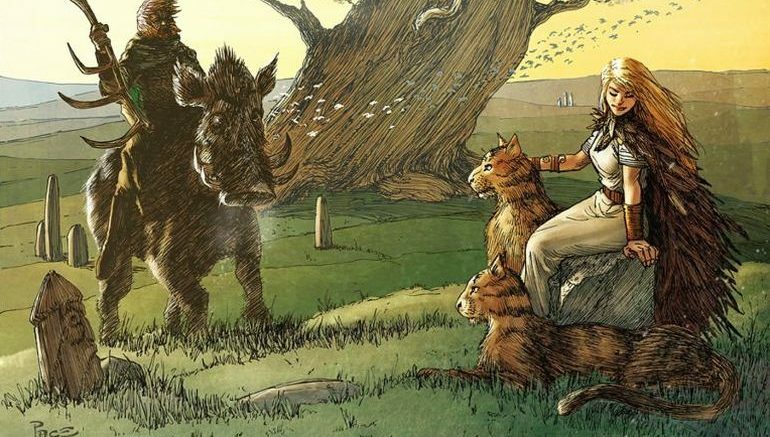 To provide some context, 20th-century scholars originally believed that the ancestors of modern-day domesticated cats roamed around the farming communities of Neolithic Mesopotamia about 8,000 years ago. However, a fascinating discovery made in Cyprus in 2004 revealed the 9,500-year old remains of a cat which was buried along with its human owner. And now, many researchers believe that cats were possibly domesticated as early as 12,000 years ago, borne by the developments and needs of early farming. Essentially alluding to a symbiotic scope, the early farmers may have kept cats as the rodent hunters that patrolled their grain stores, and the cats in return were content with the abundance of prey. Relating to this incredible history of cat domestication, back in 2016, a global team of scientists conducted what had been touted as the world’s first large study into ancient cat DNA. The researchers successfully sequenced DNA from the remains of 290 cats that were sourced from around 30 archaeological sites spread across Asia, Africa, and Europe. Their respective dates also cover a vast time spectrum, with the oldest samples dating from 8,900 to 3,900 years ago – when the majority of the Europeans still led their hunter-gatherer lifestyle; and the latest ones dating from 18th century. The analysis of the compiled DNA data revealed some serious insights into the history of cat domestication. In that regard, the researchers found out that our feline friends started to accompany humans in two waves. The first wave encompassed their symbiotic relationship with the early farmers, as suggested by the previously mentioned 9,500-year old grave in Cyprus. Interestingly enough, a second wave occurred some millennia later, with cats spreading from ancient Egypt to other parts of the world, including both Asia and Europe. The pertinent genetic markers were identified in cats hailing from Bulgaria, Turkey and even sub-Saharan Africa. 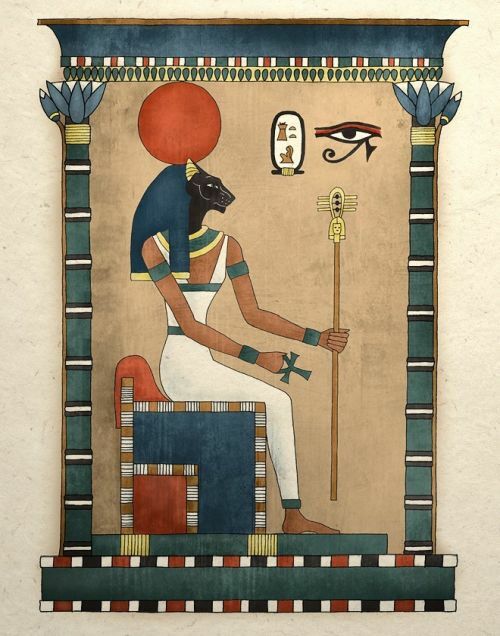 Now since we brought up ancient Egypt and its association to the domestication of cats, the native Egyptian mythology and religion popularized the worship of Bastet (or Bast). A goddess of the home, love, fertility, joy, dance, women and secrets, Bastet with her cat-like head and woman’s body was considered as a benevolent deity. But in Upper Egypt, she was also worshiped in the form of her ‘alter-ego’ Sekhmet – the warrior lioness who was seen as the protector of the pharaohs and symbolically led them in warfare. Given such propensity for feline symbolization, cats were uniquely sacred in Egypt – so much so that the punishment for killing a cat sometimes equated to death by stabbing. According to Herodotus, Egyptians was so fond of their cats that they preferred to save their cats instead of themselves when trapped inside a burning building. 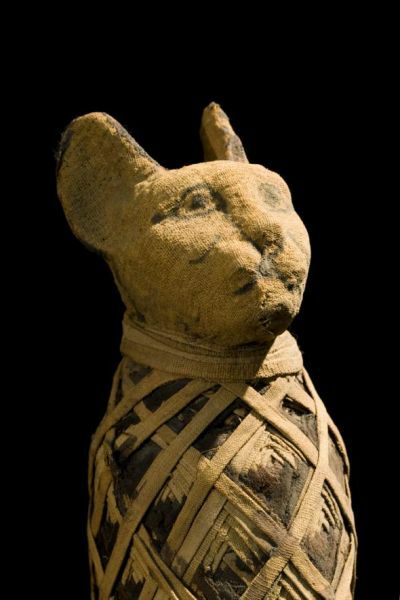 Some cats were also known to be mummified in a ceremonious manner with jewelry – as was the case with many noble people. And intriguingly enough, another culture from a vastly different time period separated by millennia also took a liking to the feline friends. We are talking about the Vikings, who according to recent studies, did have their fair share of special bonds with cats, albeit in their own practical manner. Mirroring the scenario of prehistoric grain storages, cats were also pretty handy when it came to dealing with rats and mice on ships that traveled long distances. To that end, according to Kristian Gregersen, a Conservator from the Natural History Museum of Denmark, their archaeological database points to a domestication scope where cats were not only commonplace in the Viking Age but also during the Iron Age in Denmark. One of such instances is hinted by the cat remains inside a Viking grave dating from circa 8th-11th century AD. Egyptian cat mummy. Credit: Richard Barnes, National Geographic Creative. Freja, the goddess of love, had two cats that pulled her carriage. And when Thor visited Utgard, he tried to lift the giant, Utgard–Loki’s cat. It turned out to be a serpent, the Midgard Serpent, which not even Thor could lift. Archaeologist Christian Koch Madsen from the National Museum in Copenhagen also talked about how the Vikings were probably responsible for introducing cats to few of the remote parts of the world, including Greenland. And the vehicle of their migration obviously pertained to the Viking ships commanded by intrepid adventurers, explorers, traders, and colonists.